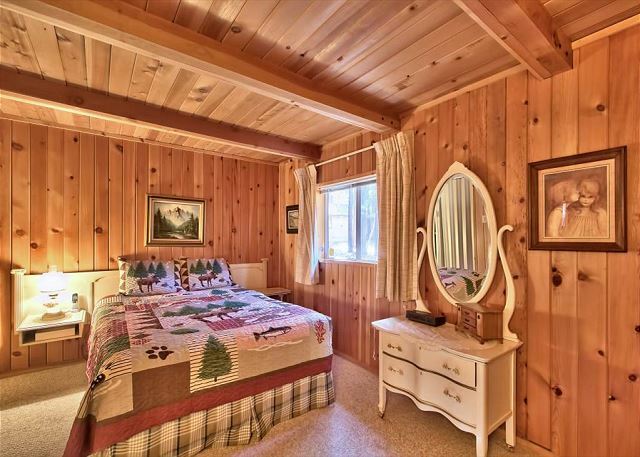 We had a wonderful time in this cute & cozy cabin. It came equipped with anything & everything you could possibly imagine. We slept like babies, ate like Kings & had a very enjoyable relaxing vacation. Pros : Overall good property. Location is very good and Neighbour’s are similar properties, so everyone is just partying along. Cons : be ware of spiders and insects. Understandably it’s a old sodden cottage so bugs can be there but management can do a bit more about it. But overall good experience. Very helpful and professional staff , it was our first time at Tahoe and we had a lot of question , the property was very clean and perfect location . Thank you so much . A cozy cabin in a great neighborhood location. It worked perfectly for two of us and our dog. It had all the necessary amenities. Thank you. We are glad you enjoyed your Tahoe visit. We are satisfied with our stay & the staff are very helpful. 1. 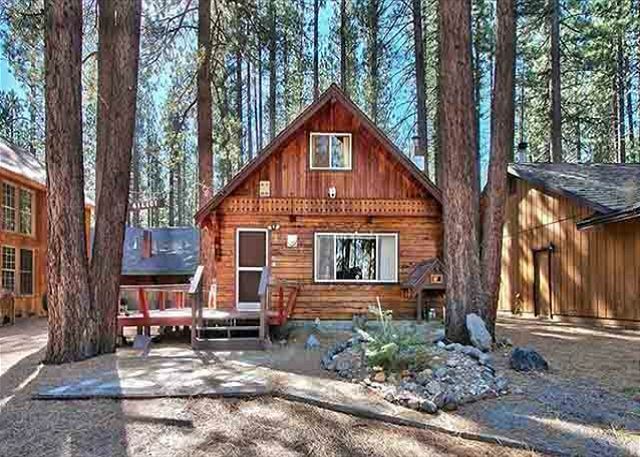 The cabin was advertised as 3 bed & 1 bath which we needed since my mom was with us. It turns out it’s a 1 bedroom & a loft. It was a big inconvenience for my mom. 2. The cabinets has way too much things/clutter in them leaving very little storage. Because of the clutter it’s difficult to find things & know what could be missing. We’ll most likely return but with less people next time. Thank you so much for the feedback and for alerting us to the error in our marketing! It is definitely a 2 bedroom chalet. 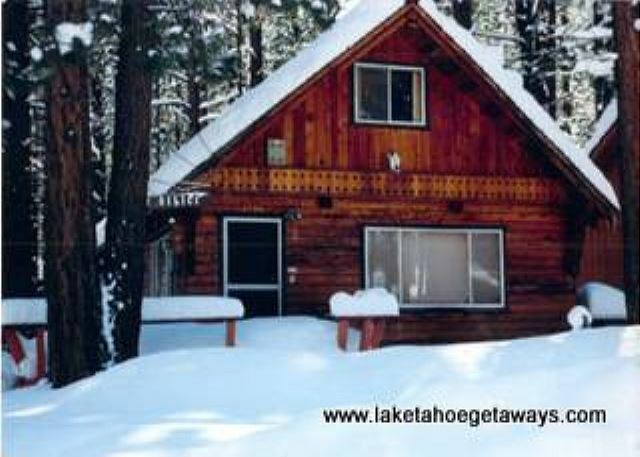 This is a great cabin for a family or group of friends looking to stay close to South Lake Tahoe for a weekend getaway. We had a lovely and relaxing stay here. My husband and I, along with another couple, decided to get away for the weekend. The cabin was clean and the bed's were comfortable. There was plenty of space and the kitchen had everything you could possibly need to cook breakfast or dinner. We all really enjoyed our stay. I will definitely be staying here again. appreciate the staff for allowing early check in and late check out. cabin had all the amenities and exactly as advertised. for the price id say this cabin is fair. a place to sleep with a roof over your head. nothing special. served its purpose.